In the Spring of 1990 the management of the Music Machine were then involved in a station called Radio Veronica. Radio Veronica was on 101.6MHz FM along with Q-102, in London, between them they broadcast from Friday evening to Sunday night. However during the week the frequency was vacant. Not wanting to lose their frequency to another station the management proposed to keep a low power transmitter operating on 101.6MHz during the week. At first it was decided for it to just transmit a 1KHz tone, this was soon dropped in favour of a continuous music tape. In May 1990 the Music Machine commenced transmissions. There were no DJ's only some jingles between the records including one saying the Music Machine which is how the name came about. After a few weeks a telephone number was given out on air and due to increasing popularity DJ's began to be heard on the station. The station was now broadcasting Monday to Thursday 5pm to 9am. Programmes were two hours long and repeated throughout the night. 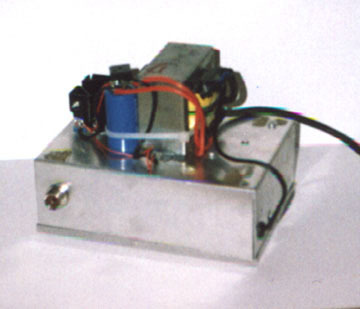 The transmitter power at this time was 20 watts fed into a halfwave dipole. At this time DJ's that could be heard on the station included Gary Stevens, Mike Andrews, Steve Roberts, Tony James, Tim Stuart, Mike StJohn and Ruski (on the radio). The format was a mixture of oldies, eurorock and light rock and pop. 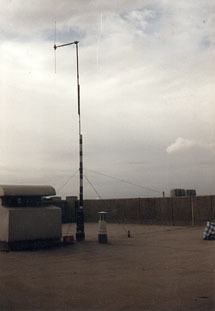 The station suffered two minor DTI raids within the first few weeks of commencing transmissions but then was left alone for a period of three and a half months. The Music Machine then suffered five raids in as many attempts at returning. 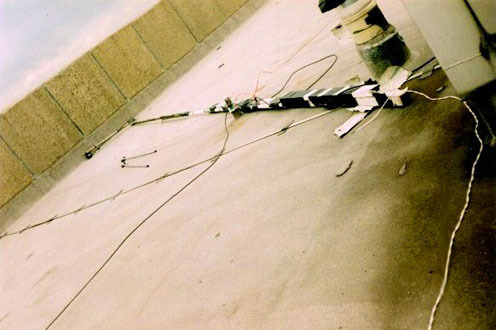 It was November and it was decided to suspend transmissions. DJ's then concentrated on running Radio Veronica which then also suffered heavily from DTI raids. Nothing more was heard from the Music Machine and the DJ's became involved in various other radio projects. In May 1992 Mike Andrews persuaded Gary Stevens, with a bit of arm twisting, that it was about time the Music Machine returned. Within a week it was heard testing on Sunday evening with 1 watt, even so this broadcast got a good response. After a couple of weeks the power was increased to 5 watts and the transmission hours were also increased to seven days a week 8pm to 8am. 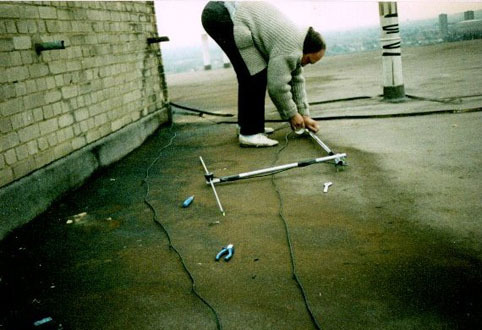 The station was proving very popular and transmitter power was increased to 30 watts fed into an aerial with a 3dB gain so making the ERP approx. 60 watts. This inspired more exDJ's to submit programmes. 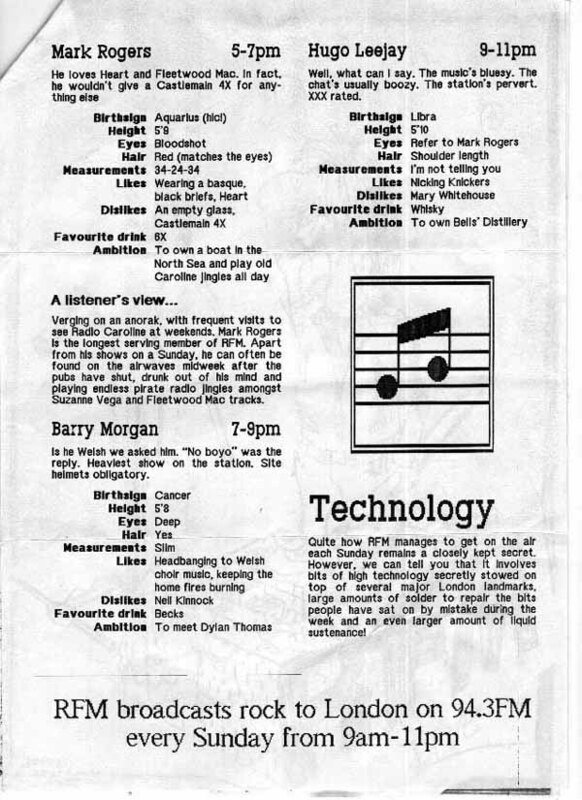 DJ's at this time included Gary Stevens, Mike Andrews, Tony James and Stuart Ross. 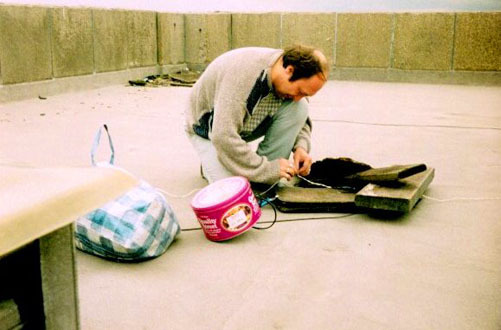 Soon after Tony James moved out of the area and as a result was unable to do any more programmes. Duncan James joined the station replacing Tony, no relation. A few weeks later two more DJ's joined, they were Phil Thomas and Steve Martin, at the same time the format of the station changed. The format remained as oldie, euro, light rock/pop from Sunday to Thursday but on Friday there was a rock service hosted by Phil Thomas and Steve Martin on alternate weeks and on Saturday there was a classic rock programme hosted each week by one of the other DJ's. After several weeks of successful broadcasting the Music Machine started to get raided. In fact every Tuesday for four weeks running. As a result the management and DJ's decided to reduce transmission hours to weekends only, dropping the rock and classic rock formats. The hours became Friday to Sunday 8pm to 8am. The DJ's remained the same except for the departure of Stuart Ross and the inclusion of Garry Lee. Recently (Spring 1993) Nigel James joined. 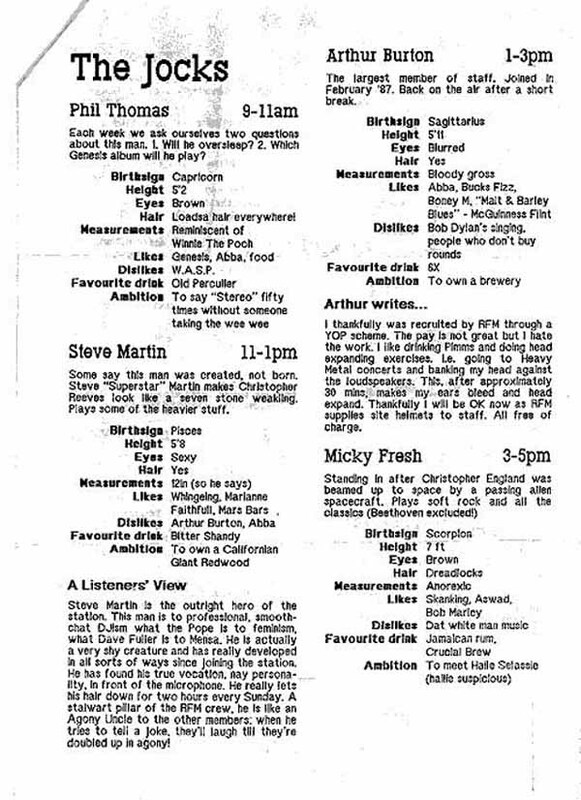 The rundown at that time was: Friday....Gary Stevens and Duncan James, Saturday....Gary Stevens and Nigel James or Garry Lee, Sunday....Mike Andrews or Phil Thomas. With occassional programmes from Tony James and Steve Roberts. The Music Machine changed frequency several times, 105.6MHz, 106.1MHz and 101.75MHz to avoid interference from other stations. 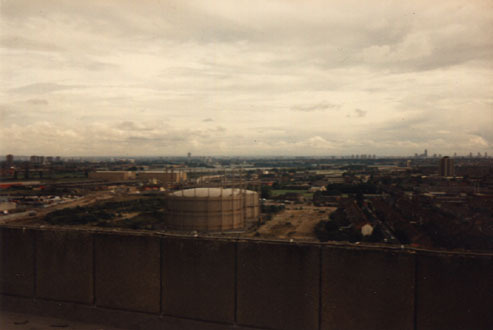 The transmitter was resited to a higher location and the transmitter power increased to 100 watts ERP, producing an excellent signal across the whole of London and the surrounding counties. 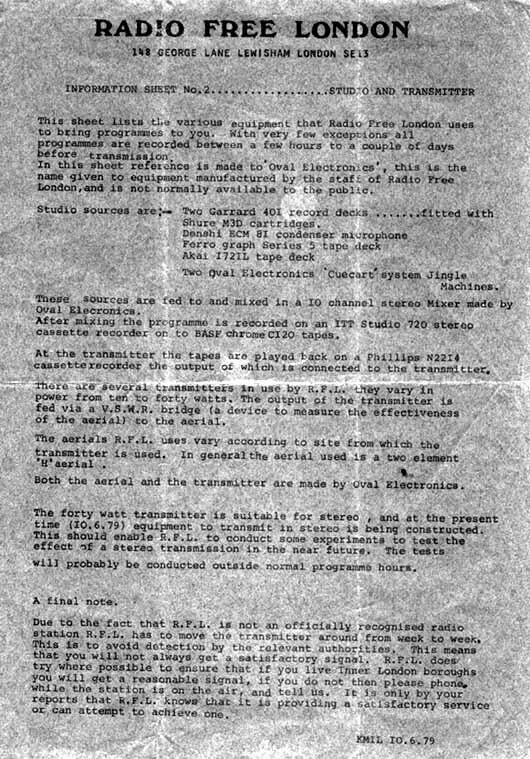 Before the technical information the management of the Music Machine would like to stress that the Music Machine had no advertising and therefore made no profit, any costs were met by the enthusiasts who ran the station for their enjoyment and the enjoyment of the many listeners who tuned in each week. These were fed into a ten channel mixer then through a compressor/limiter then recorded on a HiFi cassette tape deck. 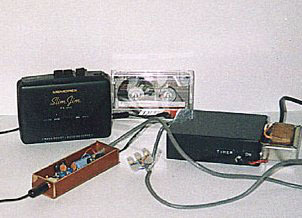 The programmes were played back on an auto reverse tape player with a HiFi pre-amp and are sent via a highly sophisticated link system (never traced) to the main transmitter. The music library had in excess of 10,000 tracks along with some 15 station ID jingles and about 400 other jingles. The station was self sufficient and had several in house engineers. 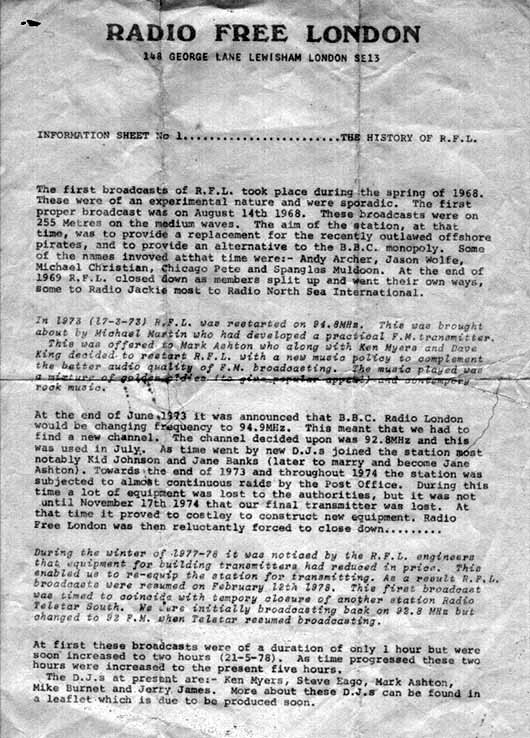 The station received reception reports from as far away as Kettering, Cambridge, Newhaven, Chelmsford, Hastings, Bedford, Reading, Oxford and Gillingham.